Lion Moms are defined as mothers who have children with a chronic illness. This term is an appropriate spin off from the term Dragon Moms, a term used to describe mothers who have children that are terminally ill. 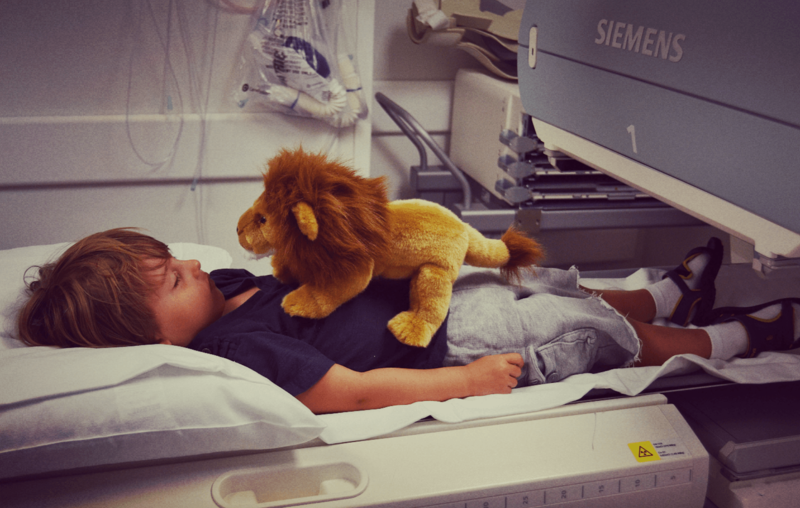 Whether the roar is delivered through a silent act or a loud cry, parents of chronically ill children appropriately relate to embracing the spirit of the lion, as parents of terminally ill children have embraced the spirit of the dragon. In the Chinese culture the lion dance and the dragon dance are known for their powerful “movements,” which provides for the perfect metaphor to depict the movements of Dragon Moms and Lion Moms towards advocating and supporting their children. Lions roar in order to proclaim their territory and rally members of their pride. Parents of chronically ill children similarly roar to protect their children and rally with other parents in order to amplify their roar as a unit. Lion Moms are passionate, patient, love with great appreciation, strong and protective. Why do we roar? We watch our children suffer on a regular basis, without being able to provide them with the cure to their ailments. Lion Moms are called on to protect, educate and establish balance for their chronically ill children. Teaching a chronically ill child about their disease and establishing methods of doing things that they can incorporate into their daily lives is vital to raising a child with a chronic illness to be an independent adult. Most chronic illnesses are associated with slow progressive deterioration of the body’s ability to conduct basic tasks. This forces the person with the chronic illness to constantly adjust the way they do things in order to retain as much independence as the condition will allow. Lion Moms are side by side with their children, from day one, identifying what their children’s limitations are, encouraging them to find their limits and the strength to identify creative ways to do things that might not be as easy as it is for other children their age. There are moments where Lion Moms want their chronically ill children to feel like they are normal. There is a constant balancing act between protecting the child from certain struggles that children should not have to worry about or even be aware of and coddling the child to the point where they lose out on vital opportunities to acquire the strength that they need in order to handle the cards that they have been dealt. Living with a chronic disease is like being trapped in what feels like a never ending race into the unknown. As Lion Moms, we recognize how exhausting and defeating life with a chronic condition can become and we want to make sure we arm our children with all of the tools they will need in order to conquer their race and to never give up, regardless of not being able to see the finish line. We teach them to pace themselves as you would running a cross country race. It is important that our children understand that the race is going to be a long, exhausting and challenging one. While others who are healthy may experience periods of illness within their lifetime, whether its the flu or a cold, or a broken bone, they understand that the finish line is in sight. When you can see the finish line, it is much easier to encourage yourself to push harder to get to that finish line and celebrate the accomplishment of regaining good health. With chronic illness however, there is no visible finish line, nor are you guaranteed one within your lifetime. So Lion Moms must train their chronically ill children to have hope that the medical community may find a cure for their condition. But to be cognizant of the potential that they may not experience a cure within their lifetime. As a result, it is important to prepare for what the next lap may introduce, whether it is a new symptom, a highly recommended surgery, or a potential side effect from the new medication that was prescribed to slow the progression of the condition or treat a symptom in an attempt to improve basic quality of life. Lion Moms accept the unpredictability of a chronically ill life and do our best to buffer the impact of having to miss an appointment or event from negatively affecting our child. As a caregiver of a child with a chronic disease, you learn quickly that plans are never concrete. 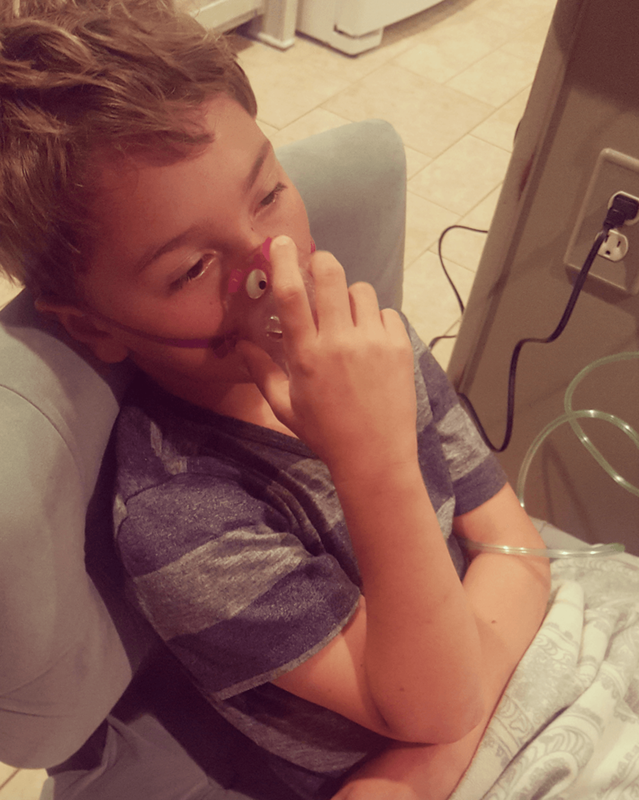 Attending school, church, parties, doctor visits all depend on how my chronically ill child is feeling and whether he is physically able to hold his head up or not. If an event or an appointment falls on a day where my child cannot function, I, a Lion Mom, am now deployed to social damage control. Damage control entails doing my best to explain my child’s condition and why we are unable to attend without spending too much time away from my child since in these moments, he needs me the most. At times...actually MOST of the time, society pushes back, accusing me of being too soft. They don’t understand why my son at times looks healthy enough to be able to meet their expectations, but for some reason is unable to consistently perform as expected. The explanation that one of my sons has Atypical Blau and vasculitis, while my other son has Ehlers-Danlos Syndrome, and possibly Cystic Fibrosis, doesn’t seem to ever be enough. While some will understand, most do not, and even go as far as to suggest that I push my sons to meet an obligation that their bodies are preventing them from meeting. This is when I ROAR. I stand up for my sons. I see their daily struggles. I know the pain they endure on a regular basis. I see them pushing themselves to limits I didn’t even know they had, but am so proud to see them doing their best with the body that they have been given. So when I hear statements like my child “needs to learn how to deal,” or that “it is all in his head,” I ROAR. I roar for my sons because they are too young to roar for themselves. Diseases like the ones my sons were born with doesn’t just go away with positive thoughts or pure will. While people tend to naturally judge what they do not understand, I, along with other Lion Moms, will continue to ROAR for my cub. We will not only roar for them, but will teach them to grow into lions with the capability to roar and rally with others like them for the benefits and accommodations they deserve as people living with chronic diseases. I am not the only Lion Mom roaring for her children. I am a part of a community, a pride of Lion Parents, mothers and fathers who are dedicated advocates for their children, suffering from chronic diseases that permanently impact them into adulthood. I am a Lion Mom, caring for two chronically ill children. My boys, my cubs, tell me "Mommy make it stop.” They ask me ”how much longer will I live, this pain is too much.” They cry "I just want to feel no pain." The experience of watching your children scream in pain, begging for you to help them, but you can’t even hold them because the pain from touching them is just too much for them to bare is indescribable. As a Lion Mom, I am forced to watch my cub’s little bodies collapse as they try to walk, at times even run. My cubs receive treatments that keep them "able" but they aren’t cures and they have side effects that bring me to my knees. However, while I am on my knees, I pray for the strength to rise back up for my boys. A roar can be mistakenly perceived by some as a loud obnoxious egocentric cry from a parent who has chosen to coddle their child. Lion Moms bravely choose to push through ignorant judgments, by people who simply don’t understand the implications of chronic illness, for the sake of their ailing children; hoping that someone will hear the roar and be able to offer a solution that will provide relief to their child. A roar is in essence a desperate request for help, a request for empathy, an attempt to educate so that others can understand the struggles that life with a chronic illness entails. A roar is a Lion Mom’s attempt to advocate for her chronically ill children. A roar is also the example that a Lion Mom is setting for her little cubs to learn how to advocate for themselves. Although each day may be unknown, each day undoubtedly brings us hope. As a Lion Mom grows with her chronically ill cubs, she learns when her children are strong enough to push through the day and when they are about to collapse, without the exchange of words. Instincts begin to take route and weave itself into the daily lives of a family impacted by chronic disease. In Judy Bolton-Fasman’s blog titled “Dragon Mothers and Grieving Parents” she states, “There is no one fiercer or scarier or more real in this world than a dragon mother. Dragon mothers are mothers who grieve for children who have died or are terminally ill. Dragon mothers breathe fire and scorch everything in their path.” Like Dragon Mothers, grieving for the children they have lost or the child they are about to lose, Lion Mothers are also grieving; not for a child that has passed, but for the healthy person that their child may never have an opportunity to become. Lion Mom’s roar symbolizes the everyday fight to keep their children alive and comfortable; all while pushing this world towards medical advancements and shaping our society into a more accepting and accommodating place for children with various disabilities through the passing of legislation, the inception of research and awareness foundations, charities, and so much more. Dragon Mothers and Lion Mothers are one in the same when it comes to the unconditional love they have for their children in need. The only difference between the two is time. Dragon Mothers have lost or will lose their children; while Lion Mothers watch their children suffer from progressive chronic conditions. While Dragon Mothers scorch everything in their path, Lion Mothers use their voice...their ROAR...to make this world a more accepting and medically advanced place for the chronically ill. The children who beat the odds and make it to adulthood, contribute to our society in a variety of positive ways because their Lion Mothers taught them perseverance and resilience. The President/Founder, single mom Ms. Lisa Moreno coined CAID out of desperation to help her sons. Her youngest Brody has a very rare and genetic disease(Atypical Blau and Vasculitis) and her oldest Aidan has Ehlers Danlos, Mitochondrial findings( noted by biopsy & gene), Dystrophy and possible Cystic Fibrosis. CAID( Childhood Auto Inflammatory Diseases) umbrellas over 30 diseases from A-typical Blau Syndrome, CRMO, EDS, Wegeners, childhood Alzheimers, sJIA, Vaculitis, Epilepsy, Mitchondrial Diseases and Crohn's to name a few. StopCAIDnow.org is the first 501c3 Foundation to cover all Auto Inflammatory Diseases. Lisa is an author of the book, "Hero In Me", executive producer, recognized by Katie K Active as one of the 5 women nationally to have a positive effect on peoples and is now the pioneer for the #DefineBrave, received the community Hero award, from the Philadelphia 76er's, developed the first perfume for a foundation, with all proceeds going back to helping the cause, blogger for the Global Genes Project and finalist for the WEGO Health advocate award.